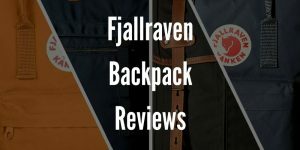 Today I will look at who this backpack is most suited for and what are both the advantages and disadvantages and why it may be the right backpack for you. The Gregory Z40 backpack is a versatile backpack that can fit a lot of people needs. I feel it is most suited to an adventurer who like activities like camping, hiking, trekking and backpacking to name a few. 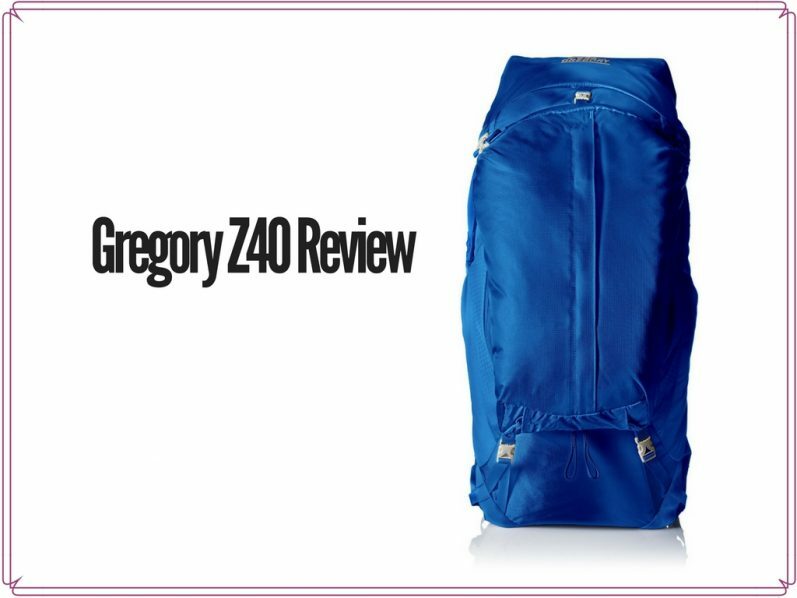 The Gregory Z40 is available in 3 sizes – small, medium and large. In my review, I have used the medium version as I felt it would fit most people needs including my own. First of this backpack is primarily one massive compartment where you will be storing most of all your gear. It is a very big space large enough for me pack a 2 person tent inside comfortably. 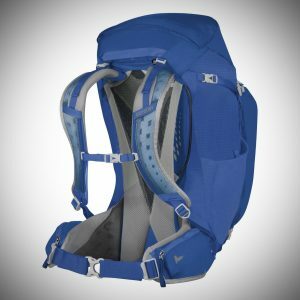 There are straps on the sides of the backpack which can be used to tighten or compress loads inside or even to open the main compartment to make maximum use of all the space inside. 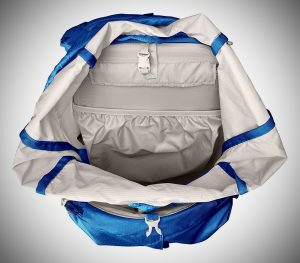 There is a compartment inside of the main compartment which can be used a hydration pouch. This pouch can easily hold 2 litres inside which is a great addition for hiking and trekking. As you can probably see in the pictures there are 2 side pouches which can be used to hold small accessories. I personally used them to store my iPhone in one side and keys in the other. On the backside of the backpack there is another zipped area which is great for storing smaller accessories that you want separated from the main compartment. One of the main reasons I feel this backpack is ideal for the avid adventurer is overall design of the backpack. It contours very well to the body with the straps across the chest and the hips, it allows the backpack to stay snug to the body with little to no movement. This means you will never have your backpack being a hindrance when trying to navigate a more challenging terrain. 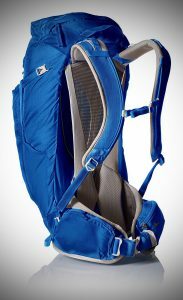 Because of how the backpack is designed along with the straps, this allows the weight to distributed very eventually. More of the weight is passed to the hip area instead of all the pressure being on the shoulders which is typical for most other backpacks. The overall weight of this backpack is light even when loaded with 25lbs of gear. It feels comfortable and light even for longer sessions of 6-7 hours in my experience. You may think that when the backpack is quite a close fit to your body, and carrying it along with the straps making it even more snug, this could cause a lot of sweat. Gregory have obviously thought about this when designing the Gregory Z40 and they have a well-ventilated area that will be in contact with your body when carrying. This stopped my back from getting warm and sweaty which is extremely valuable especially if you are planning on using it in a hotter climate. 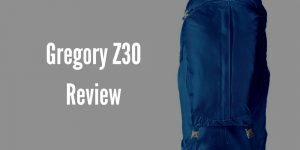 I know how much this feature is of great value after using a backpack without it in a warmer place and after some time I would have to take the backpack off to allow my back to cool off – you won’t have this problem with the Gregory Z40. You also have the option with this backpack to for example strap something to the bottom of the backpack to create more carrying space. I personally attached my sleeping bag to the bottom and it was equally as comfortable as without it. The carrying straps are very comfortable, they are well padded and are made from a ventilated foam which again massively helps with airflow when carrying. They are not the best I have ever used but I would consider them on par with backpacks costing as much as double this one. In conclusion, the Gregory Z40 is a great option for someone who is always on the move. It’s the perfect option for some who loves camping or hiking. I love how the backpack fits and how comfortable it is to carry even for longer trips, it is one of the best ventilated backpacks I have ever used and it has plenty of space and useful compartments that will be suitable for week long trips to the abyss! These features are offered at a competitive price so I can easily recommend this backpack as it is so well tailored for its target audience! 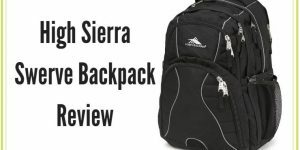 High Sierra Swerve Backpack Review - Worth a Buy?